Most religious leaders have no clue regarding this subject, including the overwhelming human population. This Judgment of God will be a breakup of the Tectonic Plates and a shifting of the Earth on its’ Axis to make it ready for the Millennial Reign… Most of humanity will be killed during this 3 1/2 year Tribulation Period and for certain during the last 45 days known as the Wrath of God. The 7 Trumpets of the Book of Revelation consist of most of this Time Period, in which Christian Believers are still present on the earth, until the 7th Trumpet, which will be the Catching Out/Rapture of the “True Christian Believers” a.k.a. the Saved. There are many Audio Sermons, Bible Studies and Videos on this Website that help explain the Great Tribulation Period of the 7 Trumpets, The Wrath of God of the 7 Vials, the Second Coming of the Lord Jesus Christ and the Millennial Reign. You just have to take time to listen to the Sermons, read the Bible studies and watch the Videos. Otherwise, how are you suppose to understand these Biblical teachings??? Here is are some links for pages to help you see the overall listing of Audio Sermons, Bible Studies and Videos related to the Tribulation Period topic. Again, I would like to emphasis; How are you suppose to understand these things, if you do not take time to learn about them??? Just as you went through school and many of you went through a college educational experience, the same process goes for the Christian Faith. You have to take the journey one step at a time, similar to any sports program. You have to train everyday to stay in shape, as to be able to run the race or compete in the program. In order to help you in your Christian Faith journey; hopefully, you will check out some of the Audio Sermons and Bible Studies on my Websites. 2.Here is a link to the Bible Studies. Some of them are on an older version of a Website and I cannot edit them any longer, but they are still online. 3.Here is a link to some amazing Hymns that will surely bless your life. Be sure to try and listen to them on a daily basis. They are written with many Bible truths and human testimonials through the centuries. 4.Here is a Website that will have some of the newer studies in the word format. 5. Here is a Website that has some of the Bible Studies that are updated. I can edit this site and am adding updates on the Earth Changes events; only on the Earthquake and Volcanoes events. 6. Here is a link to some Bible Videos that might be of interest to you. A lot of time has been spent on making them and they contain a tremendous amount of Scriptures, Photos and related Videos. 7. Here is a link to some Videos that might also be of interest to you. They contain a variety of themes about the Earth & the Universe. On my three main Websites, I try to list any new studies or updates on the home page and a link to that particular item. The goal of these Websites are to help people in their Christian Faith. This journey began some 42 years ago for me and my desire is to provide a help to anyone, who are just beginning that journey. The following are a list of the newest contents, links and pages added to this Website. On April 18, 2019: 9 new Sermons were added. They are numbers 1622-1630. There are currently 2,016 Sermons online!!! Be sure to take the opportunity in your life to listen to the many Sermons on this Website, while you still have time!!! September 11, 2018: This Website is entitled Tribulation101 because the primary goal of this Website is to provide information about the Great Tribulation Period that include many Videos related to this subject. #3 entitled: “Wrath of God” is over 2 hours long… But it is worth the time spent watching it. I realize, only a very few people are willing to watch these Videos; as the vast majority of humanity will never watch these Videos; mostly because they are unaware of them, or do they have access to them; and because a great many of these people are consumed with their surrounding Earth Life and will never take a step towards the True Spiritual state, especially of learning anything about True Spiritual things. The pages will not be as clear and smooth reading, but I have no choice but to rebuild the site or at least just add pages that I desire to update often. Even though the information on this Website probably has very little impact upon the lives of people throughout the world, at least it is a method for me to provide some Biblical Studies; and mostly information about the Revelation Tribulation Gospel Message, with the intentions of helping someone understand the Truthful Teaching about the Great Tribulation Period and many other amazing studies from the Word of God!!! 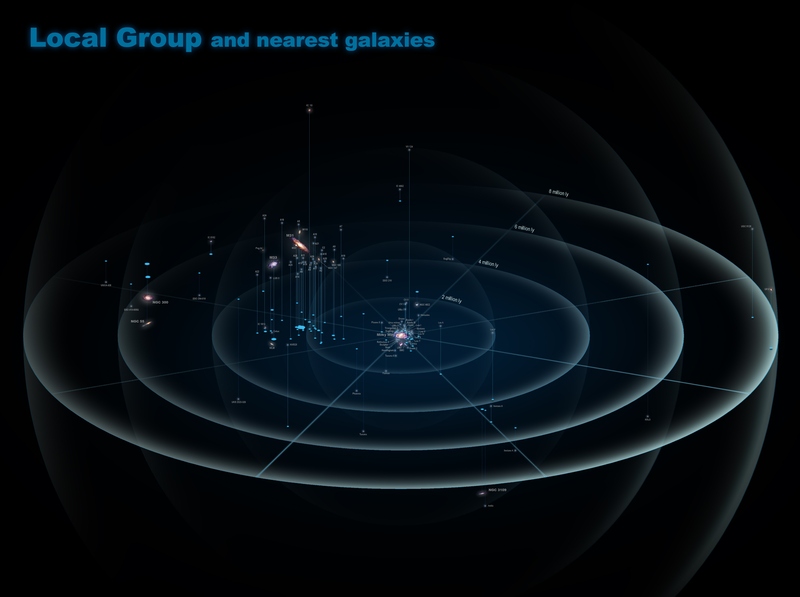 The following is a Link to a photo that show a massive galactic superstructure. It is amazing!!! It is so ironic, the majority of Humanity only believes this Earth Life is all there is and can ever be to their Lives. Surely, there is more to our Existence than this day by day Earth Life??? There is so much to learn about the Universe, it is beyond our minds ability to understand.